Sukhna Wildlife Sanctuary Owes Much of Its Beauty to The Fact That It's Located at The Foothills of The Shivalik Range. Sukhna Wildlife Sanctuary is a gorgeous wildlife sanctuary located right at the foothills of the Shivalik range in Chandigarh. It is one of the popular ones in the city, just about 2km from the serene Sukhna Lake. Spread over an area of 2600 hectares, the park was established in the year 1998. 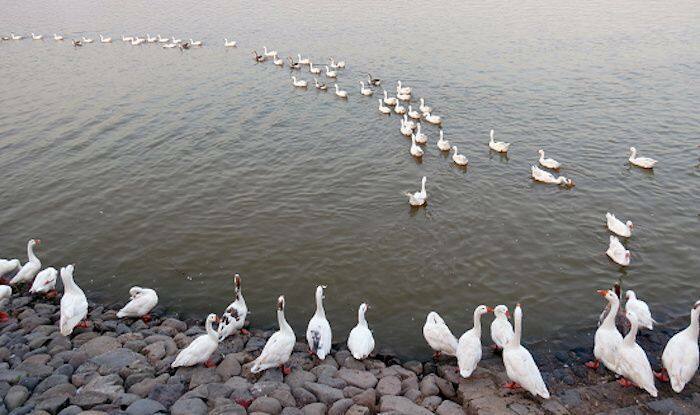 There are some 150 small and large water bodies in the Sukhna Wildlife Sanctuary that form its catchment area. These water therefore are home to a rich variety of migratory birds and resident bird species. If you’re into bird-watching, this park will be paradise on earth for you. There are more than 150 varieties of birds such as peacock, red jungle fowl, grey partridge, cuckoo, night jars, golden oriole, kingfisher, swift, hoopoes and sparrows. Sukhna Wildlife Sanctuary is an abode for numerous mammals, reptiles, butterflies and micro-organisms as well. You will spot everything from sambar, spotted deer, pangolin, wild boar, jackal, small Indian civet, jungle cat, porcupine, hanuman langur, rhesus monkey, Indian hare, common mongoose, to common rat and squirrel. Among the prominent reptiles there are snakes like the cobra, rat snake, common krait, Russell’s viper, Indian python and common Monitor and also many turtles. You can enter the sanctuary from two different gates: Kansal and Nepali. The route to Kansal gate is via the Khuda Alisher village or ‘Kaimbwala’ village of Chandigarh while the route to Nepali gate is via the Saketri village of Haryana. Travellers have to take prior permission from the Chandigarh Forest Department for visiting the sanctuary because only 200 people can be allowed into the park everyday.